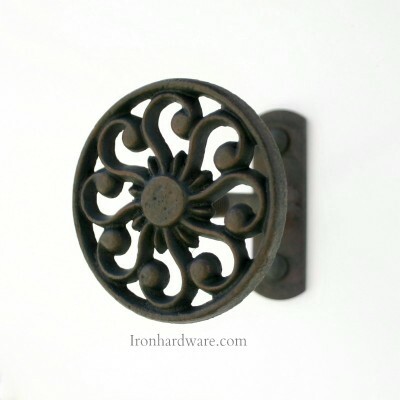 Our hand forged wrought iron curtain tie backs and cast iron medallions are the perfect complement to our Wrought Iron Curtain Rods in your home. 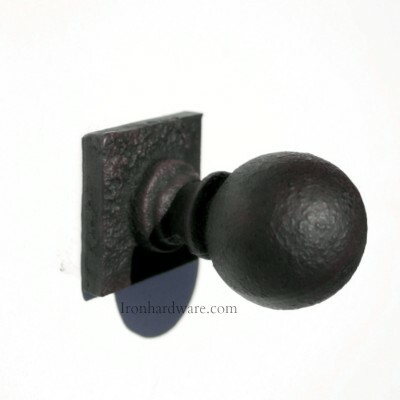 Use our curtain tie backs, also known as curtain hold backs where curtain stacking space is limited or you want the swept back look for your curtains. Medallions work great with tassles and ties. Our Acanthus leaf styled tie back complements our Flora Grande, Lemon Drop, Iron Cross, and European Filigree finials. 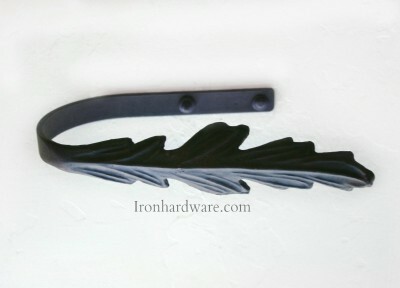 Forged Iron Tie Back 3.5" x 5.5"
5.5" wide, 1" high, 3.5" depth. 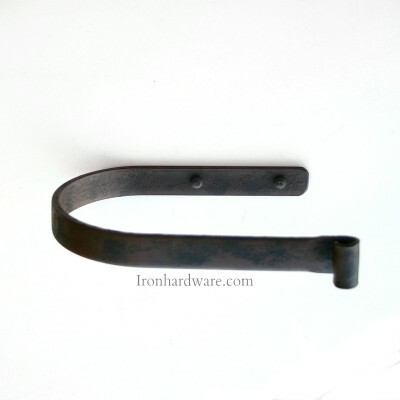 Forged Iron Tie Back 4"x 8"
Classic U shaped hand forged iron tie back, works well with all finial styles. Best seller for large amounts of fabric (over 100" width). 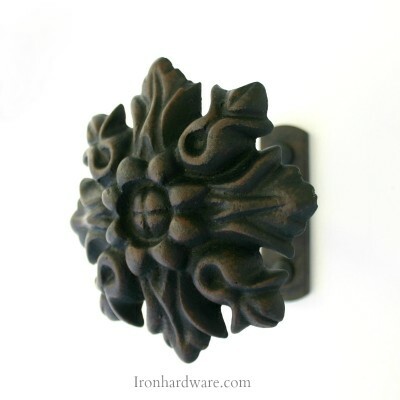 Our Mediterranean Medallion Tie Back fits with any finial style. Arrange a number of these above the window for swag treatments, use with tassles or fabric ties to hold back draperies, or simply sweep the drapes behind these medallions. Our Tuscan Rosette Tie Backfits with any finial style. Arrange a number of these above the window for swag treatments, use with tassles or fabric ties to hold back draperies, or simply sweep the drapes behind these medallions. Our ball post tie back is designed to be used with tassels or ties. 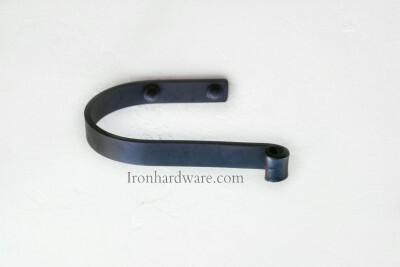 Combine your fabric swatch with two of our iron curtain rings for a great easy tie. 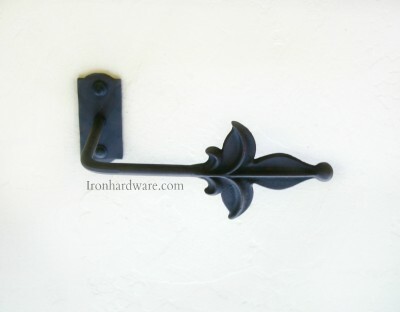 Very classic cast iron Fleur de lis Medallion, goes well with Fleur de lis, Camelot, or Dynasty finials. Arrange a number of these above the window for swag treatments, use with tassles or fabric ties to hold back draperies, or simply sweep the drapes behind these medallions. 4 5/8" wide, 5 5/8" high, 4" projection. 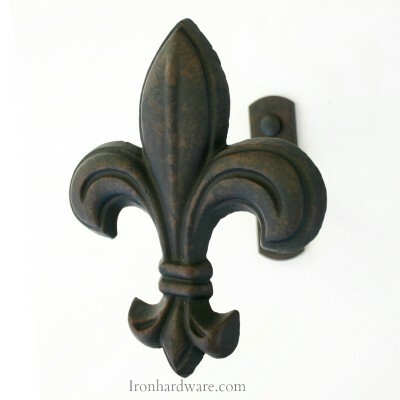 Very classic Fleur de lis design, goes well with Fleur de lis, Camelot, or Dynasty finials. 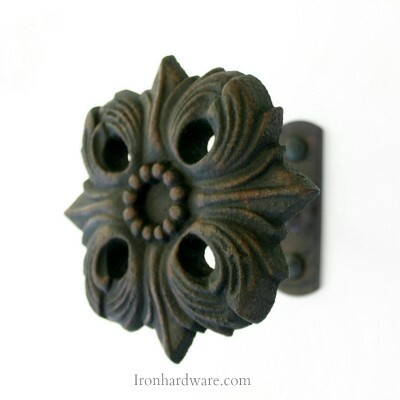 Our Flora Grande Tie Backfits with any finial style. Arrange a number of these above the window for swag treatments, use with tassles or fabric ties to hold back draperies, or simply sweep the drapes behind these medallions.